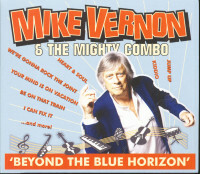 New album 2018 by blues legend Mike Vernon and his band The Mighty Combo with the matching title Beyond The Blue Horizon, with 9 original songs and 3 cover versions from the repertoire of Brook Benton, Mose Allison and Clarence 'Frogman' Henry - reminiscent of the rhythm & blues styles of Fats Domino, Wynonie Harris, Little Richard and Louis Jordan. 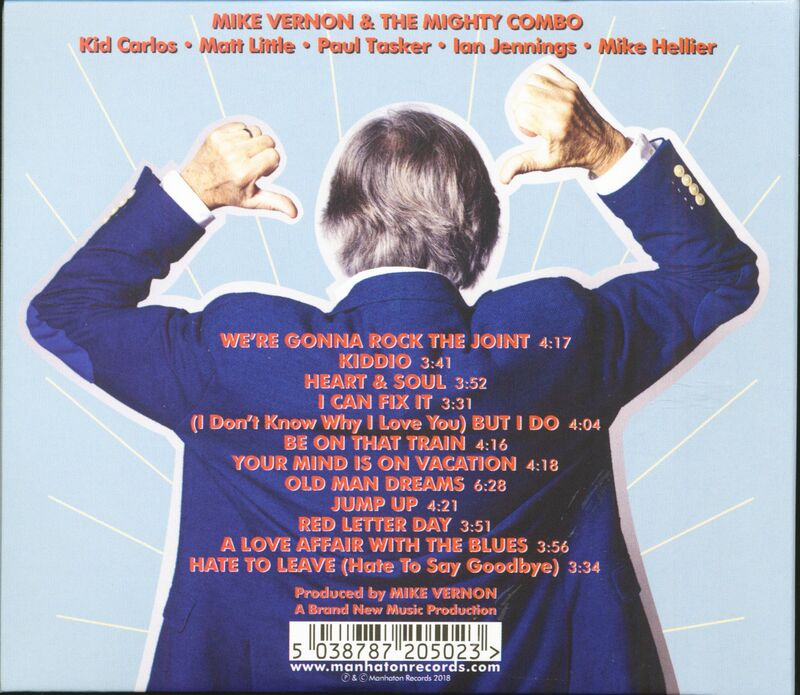 Mike has produced albums for well-known artists in British rock and blues history, including John Mayall's Bluesbreakers (with Eric Clapton, Peter Green and Mick Taylor), David Bowie, Ten Years After, Savoy Brown, Fleetwood Mac (with Peter Green, Danny Kirwan and Christine McVie), Chicken Shack, Focus, Freddie King, Climax Blues Band, Level 42 and Roachford. In 2013, he received the BASCA Gold Badge Award in recognition of his work. 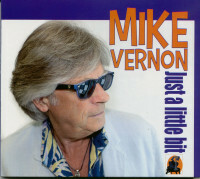 Mike Vernon is also known as the founder of the blues label Blue Horizon (Peter Green, Rory Gallagher, Paul Kossoff, Christine McVie). In the 1970s and early 1980s he was not only a member of The Olympic Runners, but also a baritone singer for Rocky Sharpe & The Replays. is a British producer. 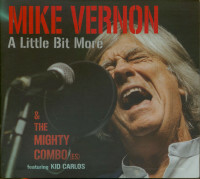 He founded the Blue Horizon label, produced artists such as Duster Bennett, Eric Clapton, John Mayall u.v.a. 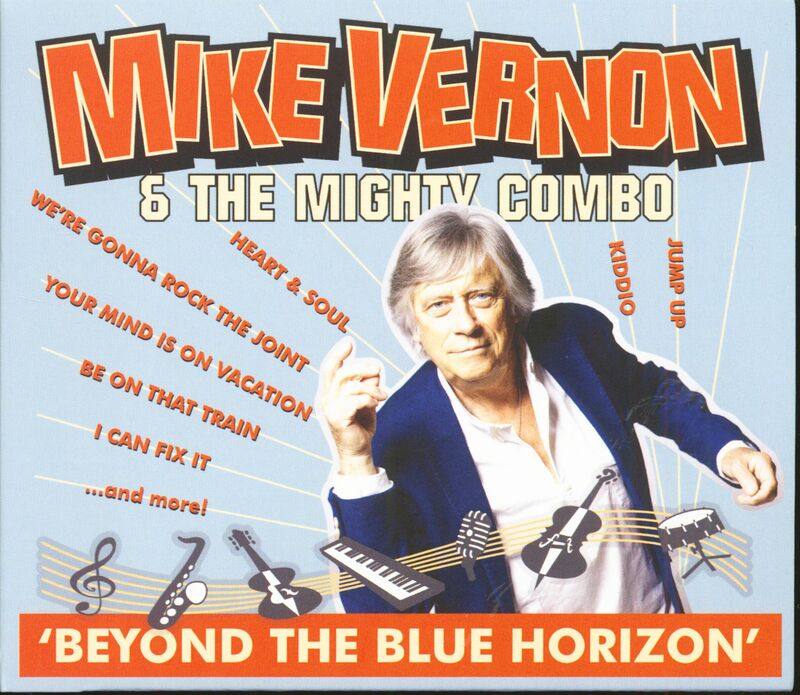 Customer evaluation for "Beyond The Blue Horizon (CD)"